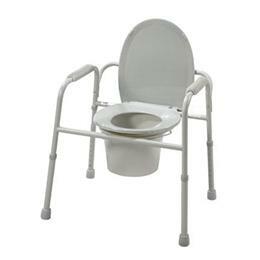 Drive's all-in-one commode reduces the number of items carried. It features a durable plastic snap-on seat with lid, a removable back, and plastic armrests. Seat height adjustment range: 16.5" - 22.5"